At Fretz RV we are proud to be the oldest Roadtrek dealer in North America! We have a vast selection of Roadtrek class B motorhomes for sale right now, and we offer a unique “Try Before You Buy” program that allows you to rent the unit before you decide to purchase! Now, you can have it all at your fingertips and the ease of a leisurely drive! This Roadtrek Zion class B motorhome review takes a more in-depth look into the best features of this 2019 RV. 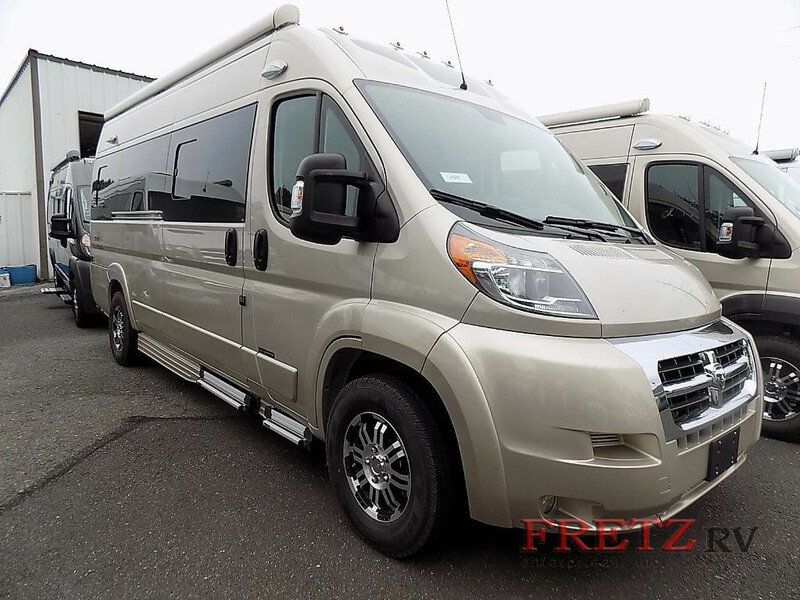 Take home this Roadtrek Zion class B motorhome today! 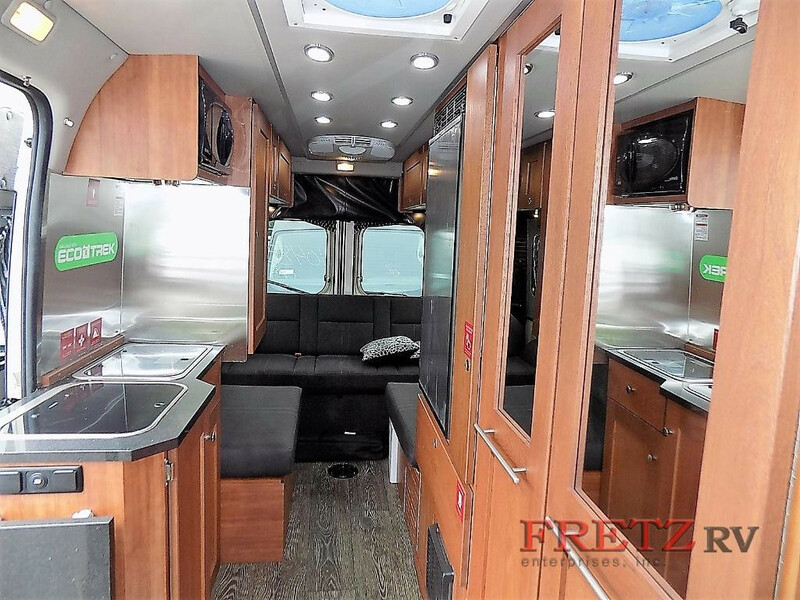 Inside this Roadtrek Zion, you’ll find quality leather for all seating surfaces and plenty of cabinet space for clothing, pantry, and essentials. The rear power sofa features three seatbelts and easily converts into two twins or a single king sized bed so that you can customize your sleeping arrangements. The front Captain seats, also transform into a single bed with the use of the folding mattress. You’ll find plenty of storage space for pantry, wardrobe, and essentials. This class B motorhome is built with a Ram ProMaster 3500 chassis with a 3.6L, gas V6, 24 valve engine. You’ll find a Uconnect 5.0 radio with Sirius/USB/Bluetooth connectivity as well as GPS, NAV, and Voice command functions. Another feature you’ll love is the Stability Program that includes hill-start assist, engine drag control, trailer sway, and wind assist properties, to name a few. Hit the road with ease. 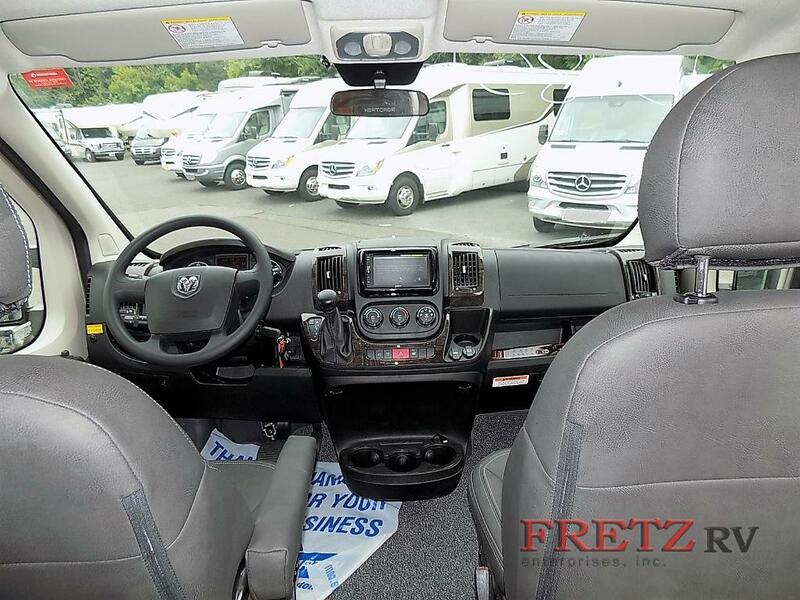 Don’t miss your opportunity to take home this Roadtrek Zion class B motorhome and take luxury wherever you go! Contact us today.